Most business owners are experts in their field. Rarely are they also experts in cyber security or the technology required to help avoid cyber breaches. Like all business owners, I'm sure the last thing you want is to become yet another cyber crime statistic. But, the reality is, cyber threats are prevalent and your business, employees, and customers are at risk. A recent study conducted by Verizon dove into the details of company hacks—all things to make you cringe. In this post, we'll share a few takeaways from the study that we found could be most beneficial to a business owner. Ransomware is malware that locks a business' computers down, threatening to release information to the public unless the cyber criminal is paid a ransom. According to the Verizon report, in 2018, 56% of malware incidents involved ransomware. The most alarming fact from the study was that cyber criminals are now seeking to compromise entire computer servers versus single employee devices. Email is an essential business function for most companies. In 2018, there were more than 281 billion business and consumer emails sent per day. Social attacks like social engineering, a method hackers use to trick victims into divulging sensitive information like their passwords and usernames, is becoming more and more common. Some of these emails can be disguised under branding or a domain that is similar to your financial institution, or the all too familiar "prince of Nigeria" email. We’ve all seen or heard stories of these scams, but why are these types of cyber attacks so common? Business owners are more susceptible to social engineering attacks because many of their employees have access to sensitive company information, constantly work over email sharing company data, and often times aren’t properly trained on how to recognize or respond to these type of incidents. It all comes down to educating your workforce. Email is an easy access point and hackers can deploy massive attacks by sending out blanket emails waiting for a bite—giving them access to your company’s sensitive information. Don’t assume only large multi-million retailers experience cyber security breaches. In fact, according to the Verizon report, 58% of small businesses experience a breach. Cyber criminals are clearly aware that larger retailers have deeper pockets to beef up their cyber security protocols, as opposed to a "mom-and-pop" shop that may not have the resources to afford Fort Knox-type of security. Nonetheless, no matter the type of business or the size, a good best practice is to take precautionary measures when it comes to protecting your company’s sensitive data. 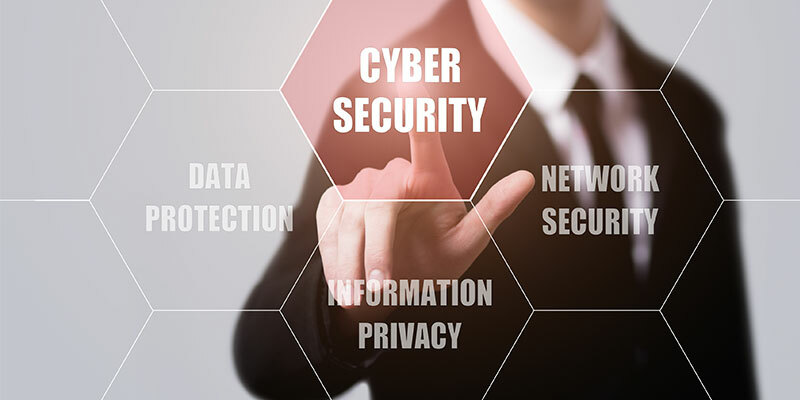 All businesses faces their own types of cyber risks, and while they may not be completely avoidable, having a prevention plan, educating your employees and proper cyber liability insurance coverage can protect your business from the aftermath of a breach.